Believing we are chosen by God is an important and basic part of our faith; likewise, that God who has called us is also mighty to accomplish the work He has begun in us. God certainly does not call and choose someone at random. It was ordained by God before the foundation of the world and made possible now during the time of grace in Christ Jesus, by His life, death, and resurrection. In Him we have the forgiveness of sins (v. 7), and we can grow and increase through the grace that has been abundantly given to us in all wisdom and understanding (v. 8). There is tremendous hope in Christ Jesus, a new and better hope for us who were born in and enslaved by our own sinSin is anything that goes against God’s will and His laws. To commit sin is to transgress or disobey these laws. The lust to sin dwells in human nature. In other words, it is contaminated and motivated by the sinful tendencies that dwell in all people as a result of the fall into sin and disobedience in the garden of Eden. This... More. The sin that we have inherited, which has followed mankind throughout generations, has been the cause of so much anguish and enmity among people. Now there is hope of coming out of sin and entering a life of victory over the sin we were previously bound by. We can enter a completely new life in which we react with the virtues of Christ instead of our self-will, and the enmity it leads to. Instead of making demands, we can be thankful; instead of cursing, we can bless, etc. There is no greater calling for us than to be called from heaven by God Himself! There is also no greater or better life to live than living a life for God. Think how incredible to be allowed to be a part of the development and the work that God is doing in His people in this time of grace. Every person who senses God’s calling in his heart ought to wholeheartedly pursue that calling and the election that God has given us in Christ. God does not ask about our past, what our family background is, or what we can accomplish on our own. He calls us to be Jesus’ disciples. He can do a work in disciples, and that work begins when we go through the disciple’s door—forsaking everything that is of ourselves and giving our heart and life to God. This continues throughout our life if we live like Paul writes in Galatians 2:20: “I have been crucified with ChristJesus was physically crucified on the cross at Calvary. Though blameless, He took upon Himself the punishment for sin, which was death, so He could pay our debts and forgive us our sin if we are willing to believe in Him and follow Him the Apostle Paul wrote: “I have been crucified with Christ…” (Galatians 2:20) This is a metaphorical... More; it is no longer I who live, but Christ lives in me; and the life which I now live in the fleshSin is anything that goes against God’s will and His laws. To commit sin is to transgress or disobey these laws. The lust to sin dwells in human nature. In other words, it is contaminated and motivated by the sinful tendencies that dwell in all people as a result of the fall into sin and disobedience in the garden of Eden. This... More I live by faith in the Son of God, who loved me and gave Himself for me.” This is a vast work of God that we enter when we are a complete sacrifice and no longer live for ourselves. It takes time to be thoroughly saved. It takes time to bring forth a fullness of this new creation. Therefore we must make use of the time and the opportunities that God grants us. 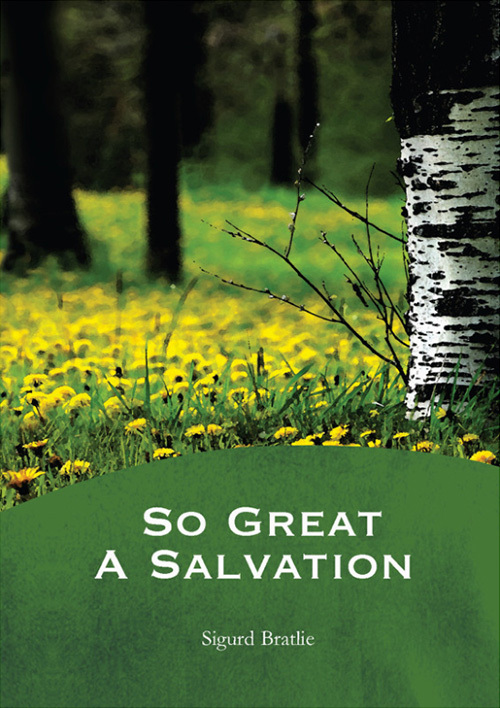 Everything that God sends our way is meant to serve us for a deeper salvation. We are made aware of our self-life through tribulationsTribulations or trials refer to any event or situation that comes your way that tempts you to sin; that gives opportunity for sinful thoughts and temptations to rise up in you. The tribulation or trial arises when your mind to serve God struggles against your lusts to sin. It also often refers to difficult situations that test your ability to... More. Our self-life is the sin that dwells in our flesh which we have inherited. (1 Peter 1:18-21) When we see our self-life, we must humble ourselves and acknowledge it, not justifying ourselves and explaining it away, continuing to live for ourselves. Only by acknowledging the truth about ourselves can we be saved to the uttermost (Hebrews 7:25). This is a great liberation that causes us to rejoice in all of life’s circumstances. This article has been translated from Norwegian and was first published under the title “Chosen by God” in BCC’s periodical Skjulte Skatter (Hidden Treasures) in June 2016.